Phnom Penh (VNA) – The Cambodian Ministry of Tourism said it will take strong measures to increase the share of local products used by local firms, particularly those in the hospitality industry. The aim of the initiative is to reduce imports of goods that can be produced in the country, with the government estimating that Cambodia loses between 300-400 million USD in revenue each year because local hospitality firms, including restaurants and hotels, are not sourcing their products locally. Speaking on the sidelines of a recent workshop on local product promotion, Minister of Tourism Thong Khon said a working group was established to boost the production of agricultural goods and handicrafts for use by domestic restaurants and hotels. He added that Cambodia does not need to import vegetables, fruit, chicken, or beef as they can all be produced locally. Statistics show that Cambodia’s tourism sector earned about 4.3 billion USD in revenue last year, an increase of around 20 percent. However, the majority was spent on imports. Last year, the country welcomed 6.2 million international tourists, a 10.7 percent year-on-year increase. 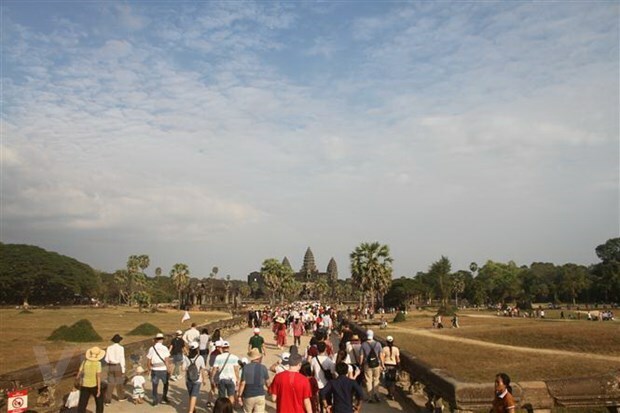 In the first two months of 2019, 1.12 million foreign holidaymakers flocked to the country, representing a year-on-year rise of 10 percent.